I am having a few friends over for dinner tonight! 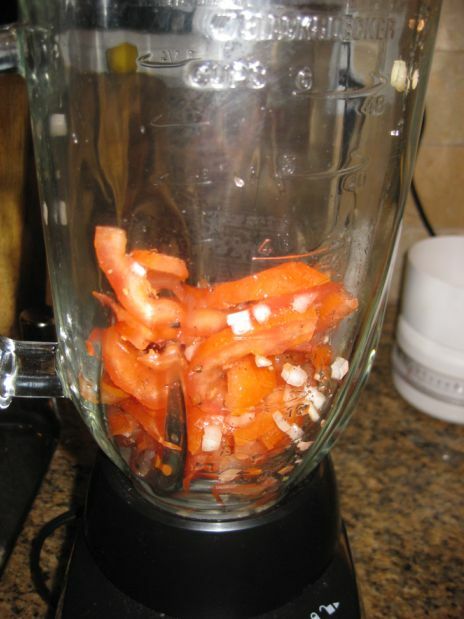 When I have friends over, I am always trying to come up with different recipes, ideas to came up with a dish. 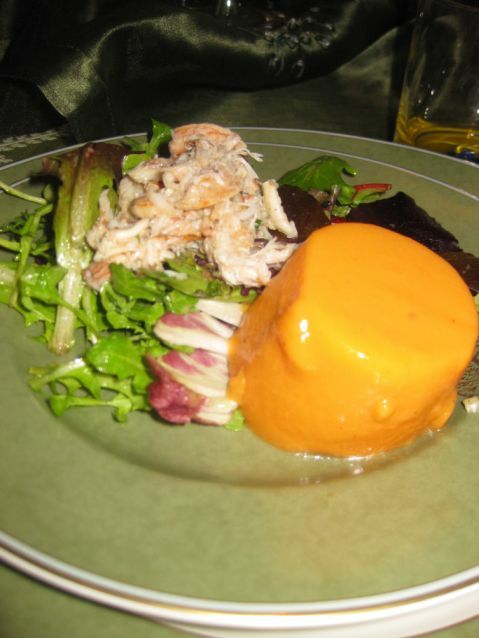 for tonight, I thought a tomato flan is totally out of the box, it can be fun and it is also something you do see very often on a plate. 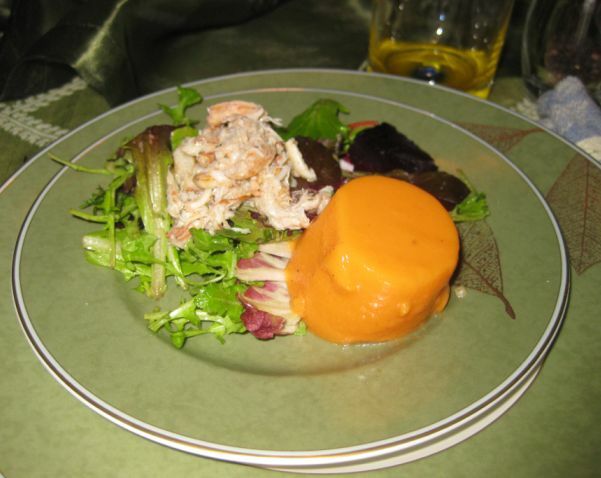 I decided to serve the tomato flan with a mixed salad and to make it a little fancier I added crab meat and basil for more flavors. 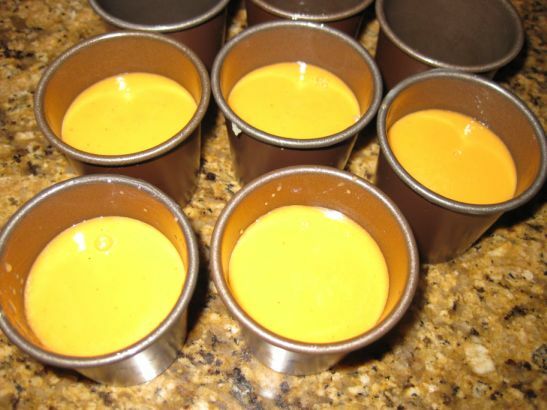 The tomato flan has only 3 ingredients so you need to buy really good ripe tomatoes! 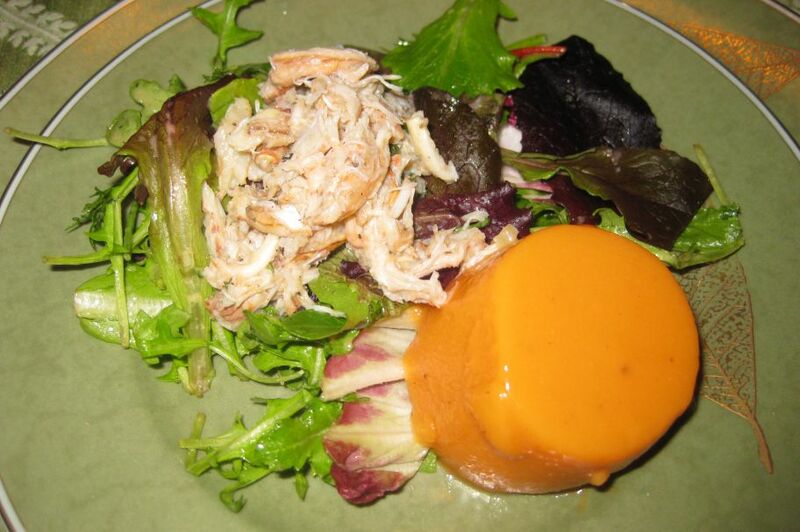 I like the tomato flan because it brings a clean and fresh taste to this dish. 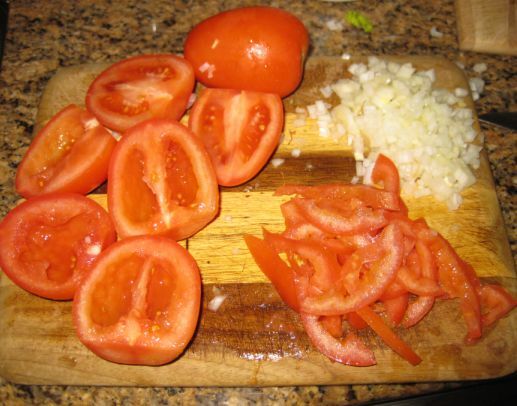 Chop the onion and then cored and sliced the tomatoes. 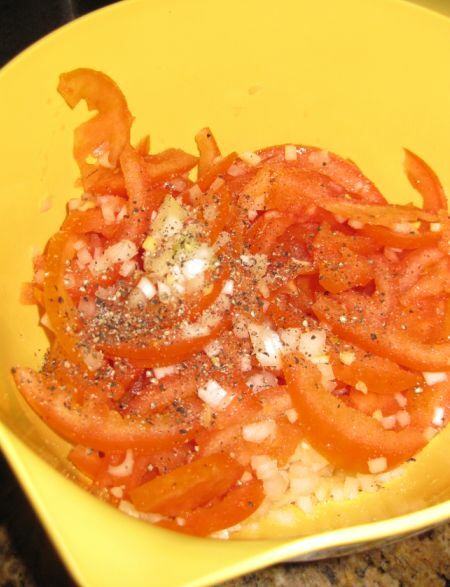 Put them in a bowl and season them salt and pepper. 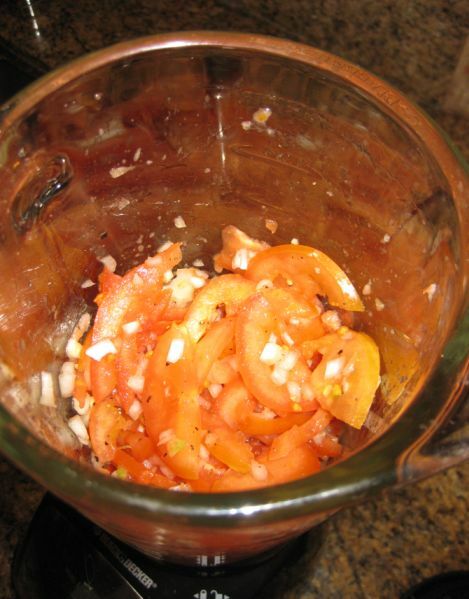 Leave the bowl out for 10 minutes so the tomatoes are soaking in the flavors. 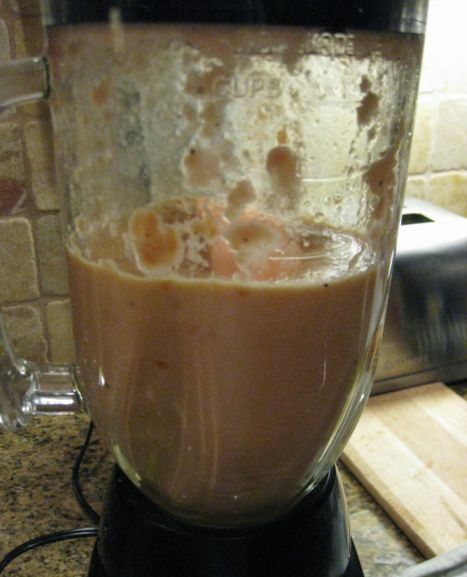 This is how it should look once they are blended. 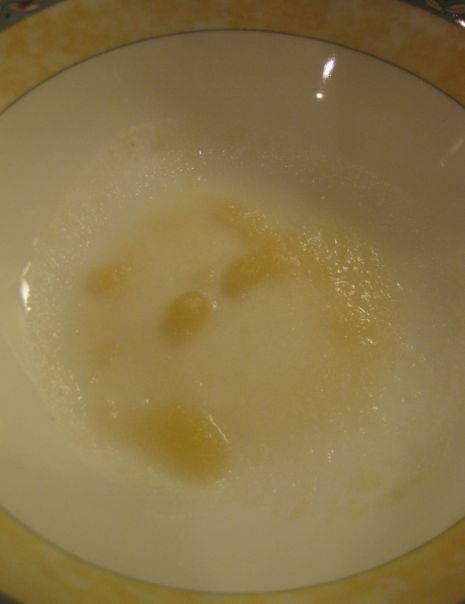 In a large bowl Mix the gelatin with water. 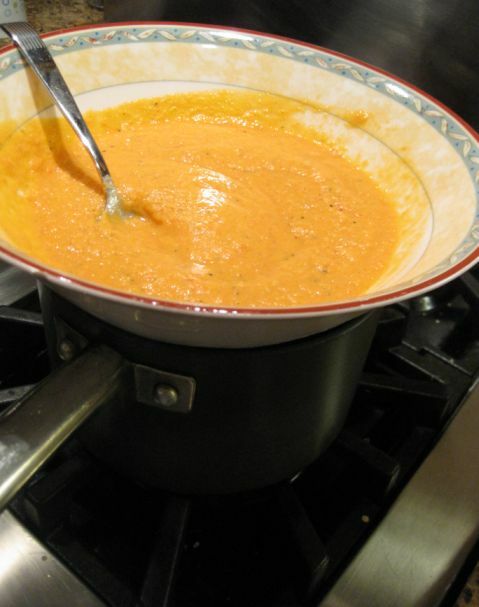 Leave it for about 5 minutes..
Pour the pureed tomato in the bowl and then put the bowl on top of a pot with simmering water. 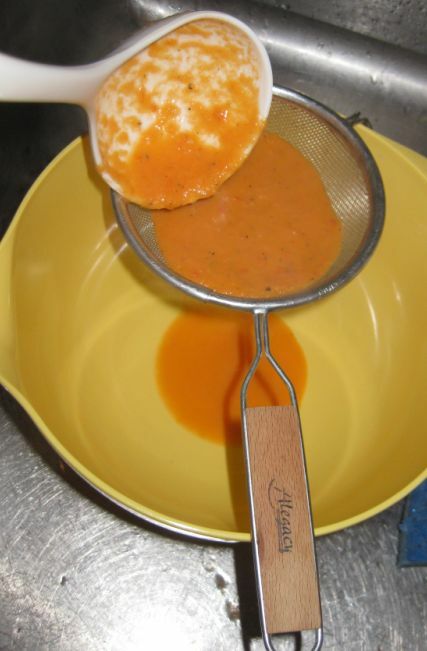 When the tomato mixture is warm (about 5 minutes of stirring) remove the pot and stain the tomato puree. 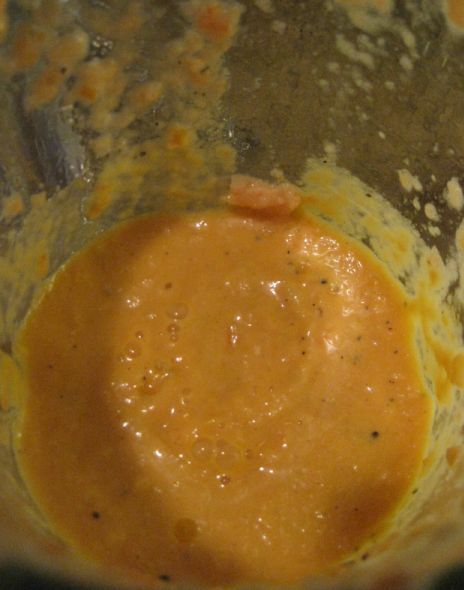 Pour the tomato mixture inside a mold. 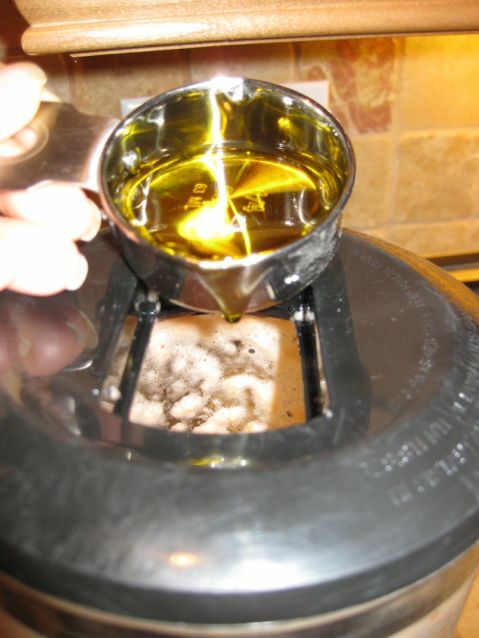 Here I am using a pastry mold but if you don't have one use a ramekin. 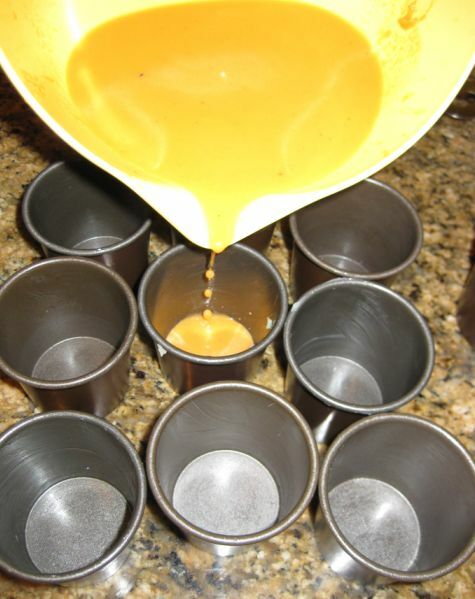 Refrigerate the mold for a least 2 to 3 hours and unmold when ready to serve. 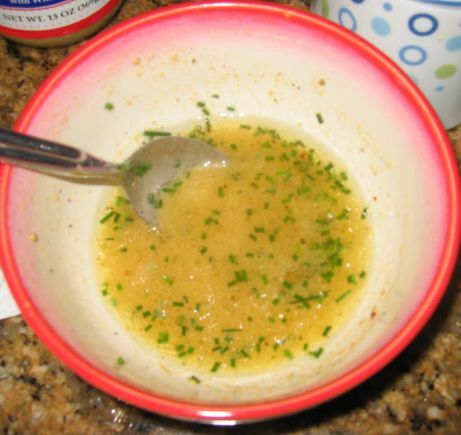 Make the vinaigrette according to taste. 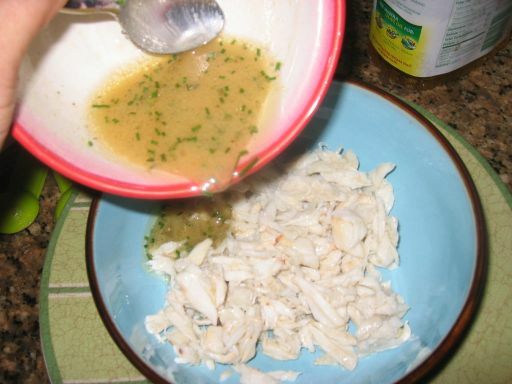 When ready to serve pour the vinaigrette in the crab meat and carefully mix it together.